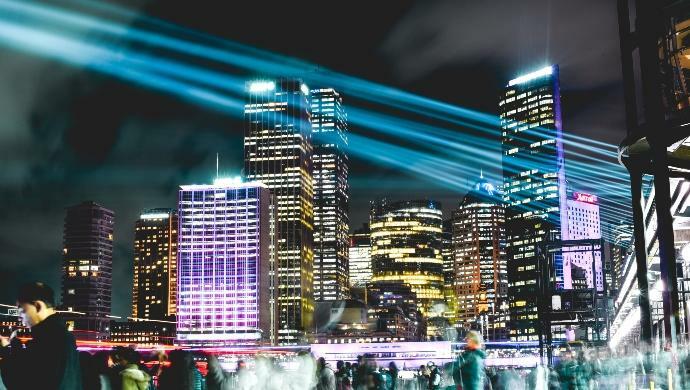 The world’s city governments have made Smart City into the PR-term du jour, but is it the correct path to successful urban development? It doesn’t matter if we are talking about regional hubs like Singapore and Bangkok, or smaller cities like Macau and Siem Reap, the term ‘Smart City’ has turned into defining policy push for most governments across the world. The thinking goes that technology is a tool that can make cities cleaner, more efficient and wealthier. It has largely been presented as an obvious positive, and rarely questioned as a policy decision. That being said, there are some problems with Smart City initiatives, and if they are not discussed, city managers may find themselves charging towards a future that is not actually an improvement. In and event organised by Seedstars and Ananda in Bangkok last week, Kristian Kloeckl, an Associate Professor at Northeastern University, presented 5 critiques of the Smart City drive. Kloeckl did so not to state that Smart City policies are wrong, but that they need to be integrated into the city’s existing infrastructure. “The current movement of the Smart City can be compared to what happened in the early part of the 20th century with the ‘modernist city’, where making everything new is seen as saving from all ailments,” he said. Kloeckl pointed out that cities are already smart, because they are filled with people, and if policy makers focus too heavily on data, mistakes are inevitable. For the sake of transparency, the following 5 ideas were not coined by Kloeckl, but rather attributed to his colleagues during the presentation. Let’s take a look because they are fascinating. This is less of an argument about autocracy or building a Orwellian state, but rather the flaws of relying heavily on a tiny minority. Kloeckl used the example of Rio De Janeiro, in Brazil, as an example. The city of 6.3 million people, the government had made a push to use cameras as a means to facilitate efficiency. The idea is fantastic. Why not see in real-time the city’s pain points and fix them as the occur. The problem was, eventually the project was being controlled by a few dozen people sitting in a video room. This creates a false sense of understanding the situation and can lead to policy mistakes due to a lack of context or understanding. More likely, the people living in the neighbourhood understand why the traffic is bad — be it a manhole or lagging construction — and just visiting could accomplish in ten minutes what would take data analysis months to finish. The critique of technocrats is that they build policy on a set of rules that are considered ‘fact’. Technocracies are effective when A+B=C, but when A+B=36 technocrats can be caught without a reasonable reaction because the outcome was never considered feasible. In the context of Smart City development, this becomes problematic because it can lead to an environment where implementing technology is the goal. An example might be installing a high-tech climate management device into a building when a tree could have worked perfectly well. The most well-read article I have ever written on e27 was a criticism of Singapore’s cashless payment push which I argued was implementing technology to solve a problem that did not actually exist. Everyone has been in a situation where they are looking for an address, or how to navigate to a certain place, and have their phone die. In these moments, it becomes shocking how naked we feel and how difficult it can be to find the location. If an entire city is build on this infrastructure, technology failures or hacks can become disasterous. In 2018, there are enough hacking incidents that most people understand the vulnerabilities we face in modern societies. However, there has yet to be a “major event” that, say, cuts off a city’s electricity for a month. However, a lot of cybersecurity experts think this is more a matter of “when” not “if”. This is already starting to become a reality. Every so often, a major media company publishes an article describing the surveillance state in China, and how difficult it can be to avoid the gazing eyes of the government. Typically, these types of devices rely heavily on profiling, which is problematic because of our tendency to be overconfident that the technology actually works. This point was driven home in July when Amazon’s facial recognition system accidentally matched African American members of congress to a criminal. If an incident person is arrested for a crime because a facial recognition system made an error, who is most likely to be belived? The “fool-proof technology”? Or the word of a “criminal”? Every single algorithm is inherently biased because their creators, human beings, are the same. Furthermore, bad algorithms set up self-fulfilling prophesies that trick managers into thinking they can correctly predict outcomes even if the outcome happened in part because of the algorithm. Lets say an algorithm tells a banker this man is likely to default on a US$10,000 loan, so the banker only gives the person US$5,000. Then the person defaults. Did the default occur because the algorithm was correct? Or, was the default because the business owner needed US$10,000 to buy a new freezer and reduce the overhead of purchasing fresh food every day? The algorithm would have no way of knowing, all it knows is that it predicted a default and a default occured. This is not to say that the pursuit of Smart City policies is inherently wrong, it just needs to be integrated into a 360-degree policy approach. Kloeckl suggested a term called “Hybrid Cities”, which embrace technology as a tool for good, but also understands other variables and makes compromises for the greater good. Pursuing Smart City initiatives can greatly improve the lives of a citizenry, but focussing on it as the cure-all for a city’s ills is not only naive, it can create more problems. The post 5 critiques of the Smart City push appeared first on e27.